New Delhi: Macquarie University, one of Australia’s top 10 Universities, has launched a new program ‘Master of Data Science’ and is now inviting applications from graduate students for the first session beginning February 2018. Data has the potential to transform the way business, government, science and healthcare is carried out. Conventional manual techniques, however, aren’t capable of handling the deluge of data that modern systems generate. Data science, which applies specialised computational and statistical techniques to analyse such ‘big data’, is considered one of the key skills of the 21st century and there is a skills shortage in this field. This interdisciplinary course will give students a range of technical skills necessary to work in data science across a variety of industries. Students get an excellent platform to learn and apply technical skills in wide ranging areas such as forensic investigation, research, business, and scientific applications.Students will develop skills in data management: on and off the cloud, machine learning, statistical modelling and a range of big data technologies that will distinguish them from their competitors as they enter the workforce. This program falls under MU’s Faculty of Science and Engineering. The admission process for Master of Data Science has already begun and students can apply by visiting http://courses.mq.edu.au/2018/international/postgraduate/master/master-of-data-science. Apart from the courses the students can also simultaneously apply for the scholarship worth A$10,000 – A$12,000 scholarship that Macquarie University offers to the international students. 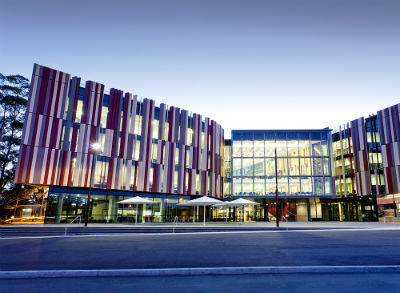 Macquarie University’s ‘Master of Data Science’ Program is an intense full-timeprogram (1year – 2year depending on RPL granted) and students will have the opportunity to choose electives in areas such as data security management and modern computational statistical methods to expand their knowledge of data science across a variety of industries. Students can apply to the course through the website and last date of submission of the application is January 15, 2018.